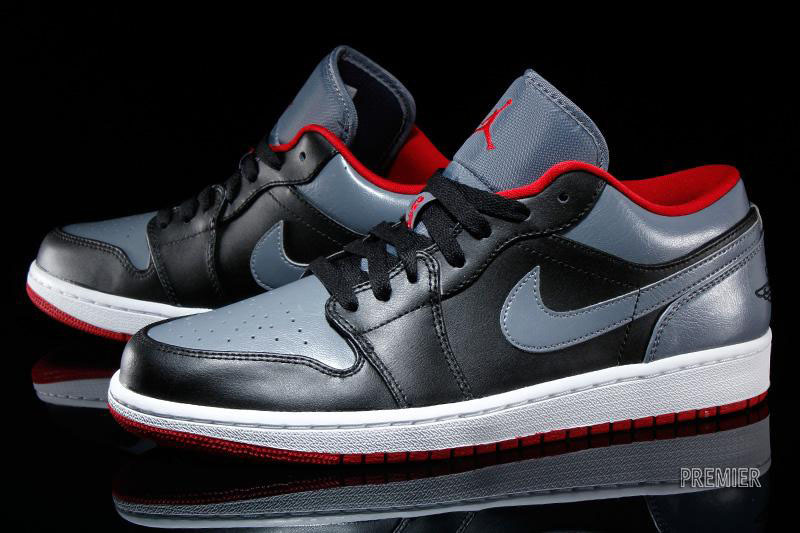 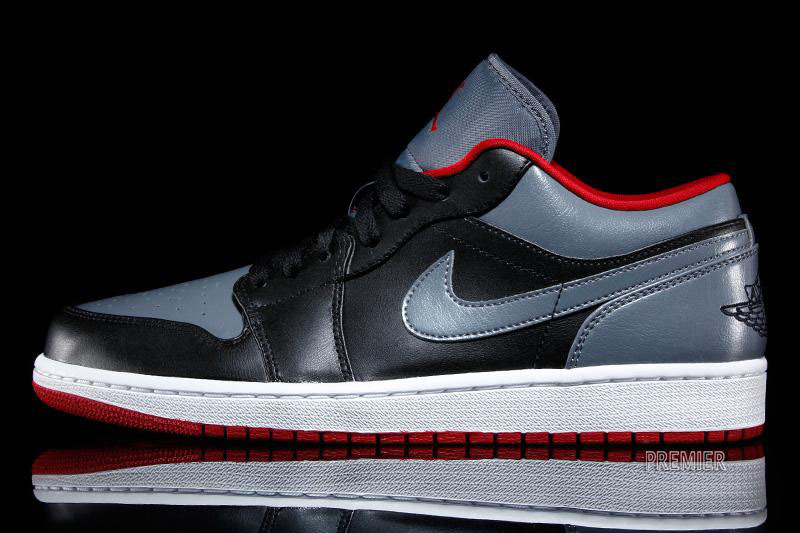 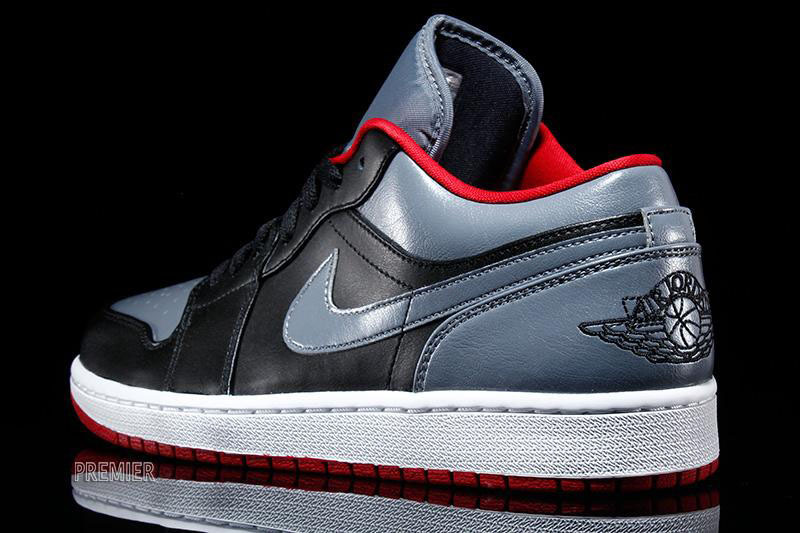 Making its way to retail now is a new colorway of the Air Jordan 1 Retro Low. 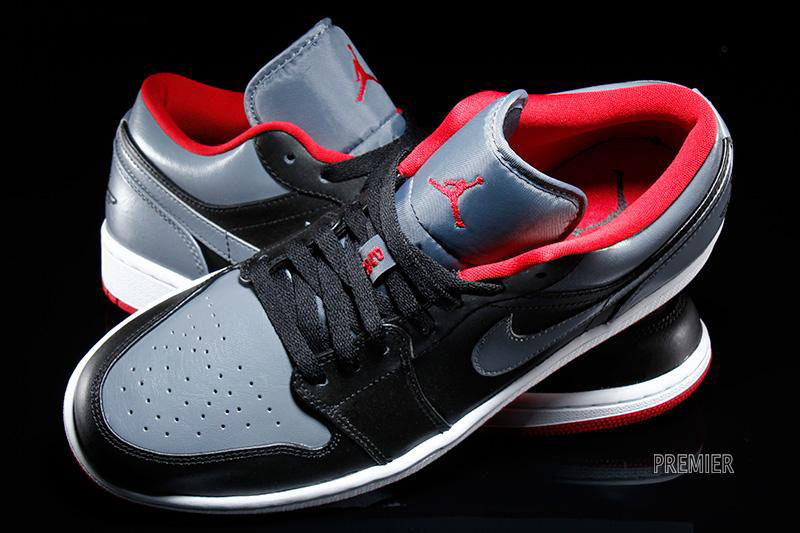 Glossy black and cool grey leather panels handle the upper, with gym red appearing on the Jumpman branding and inner lining. 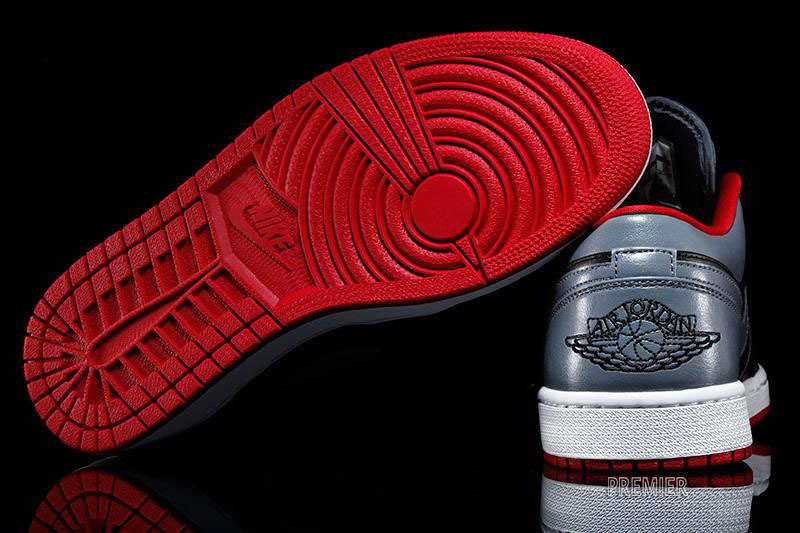 Below sits a white midsole and red rubber outsole. 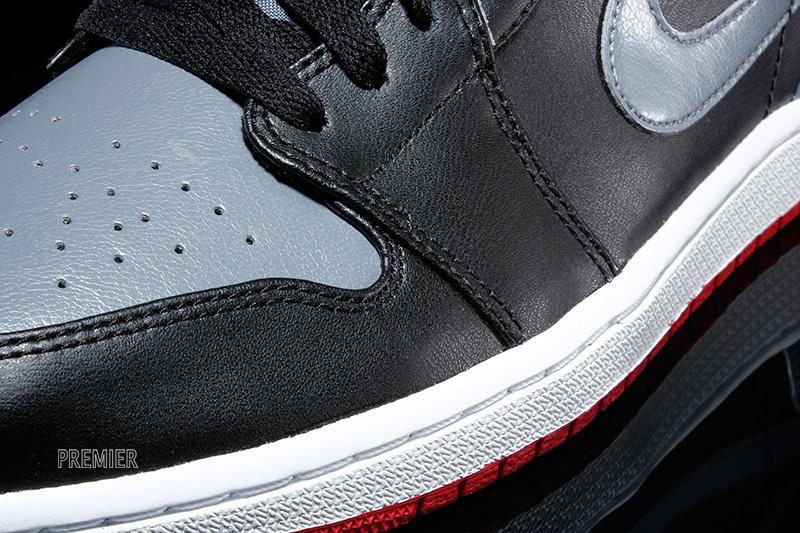 You can grab this new colorway now at spots like Premier for $95.